Preheat oven to 350. Place the 1 cup quinoa flour and butter in a medium bowl and mix well. Add the water, and make a soft dough using your hands. If dough is too sticky slowly add some of the 1/4 cup quinoa flour until workable. Grease a 9-inch round baking dish or spray with cooking oil. Press mixture evenly into dish and set aside. For the filling, heat olive oil in a medium saucepan over medium-low heat and add vegetables, garlic & 1/4 tsp salt. Saute until the vegetables are tender. Spoon the vegetables evenly over the crust and sprinkle with the cheese. Wisk the eggs, milk, quinoa flour, 1/2 tsp salt and pepper in a medium bowl. Pour the mixture over the vegetables and cheese. 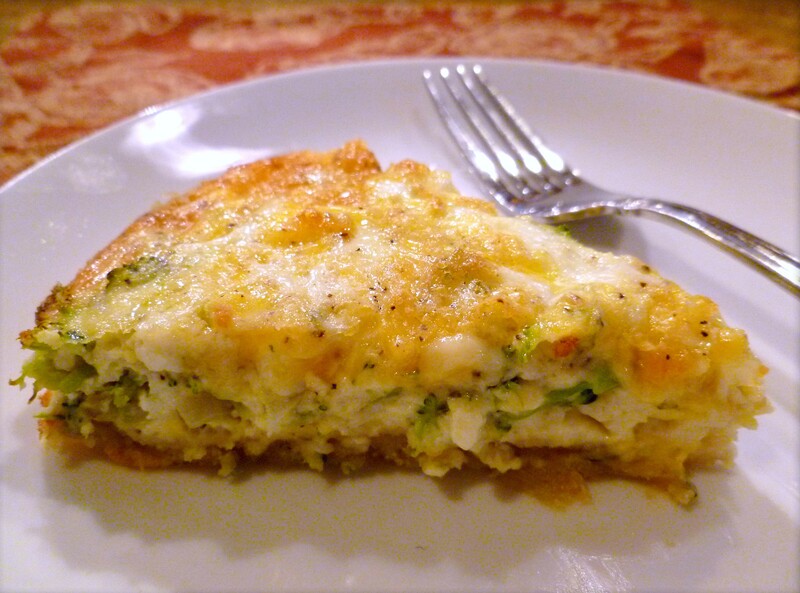 Bake the quiche on the center oven rack for 30 minutes, or until the center is set. Let stand 8-10 minutes before cutting into wedges. Serve immediatley. Refrigerate leftovers for up to 3 days. Quinoa flour is totally worth the effort to find as it is a complete protien with all 10 essential aminos. If you have a Kitchenaid Mixer, you can buy a grain mill attachment for under $100. I grind my own flour from Quinoa. Super easy!